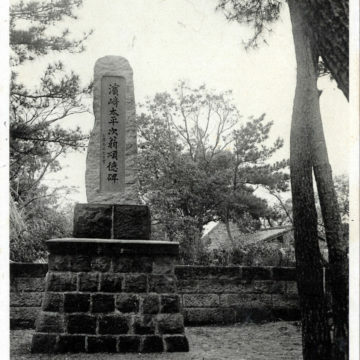 M.S. 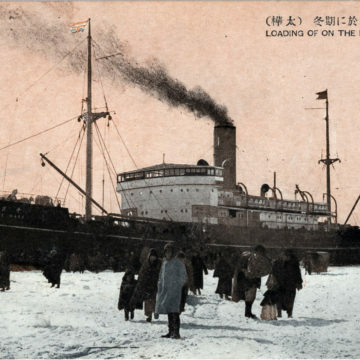 Chitose Maru, c. 1930. 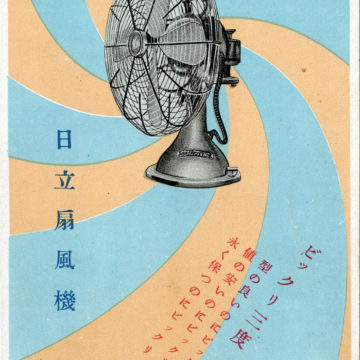 Hitachi table fan, c. 1930. 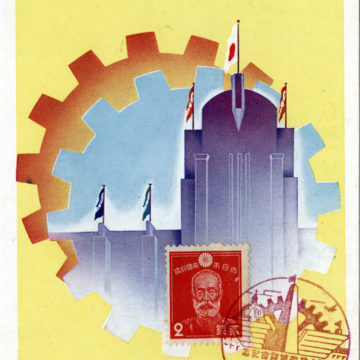 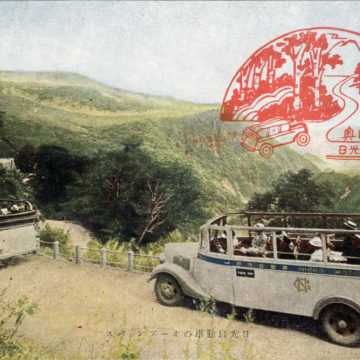 Nikko Motor Bus Co. tour of Nikko, c. 1940. 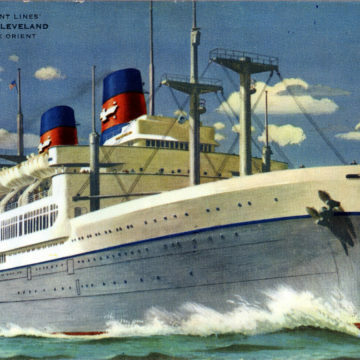 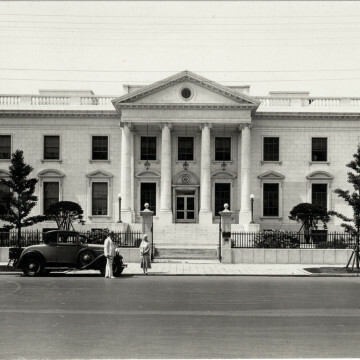 S.S. President Cleveland, American President Lines, c. 1960. 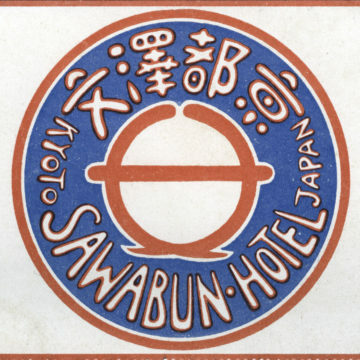 Sawabun Hotel, Kyoto, c. 1920. 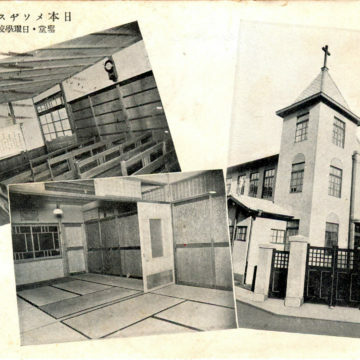 Methodist Church, Japan, c. 1920. 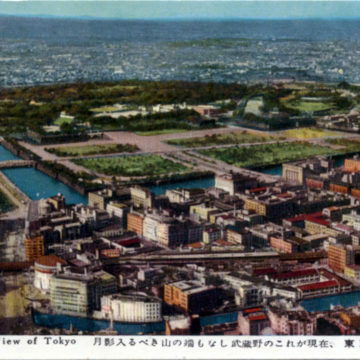 “Bird’s Eye View of Tokyo,” c. 1960. 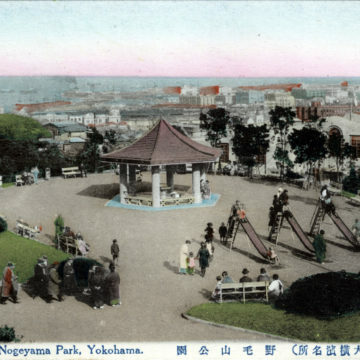 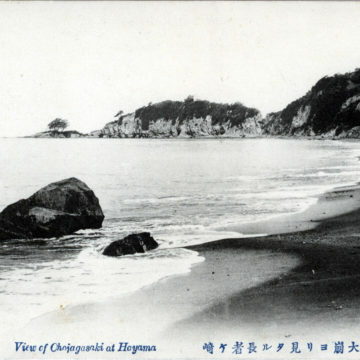 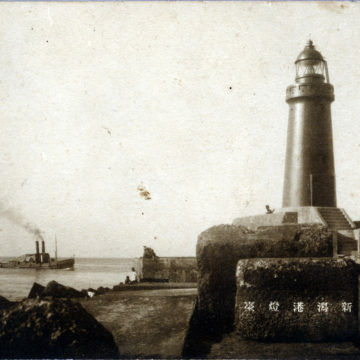 Nogeyama Park, Yokohama, c. 1935.